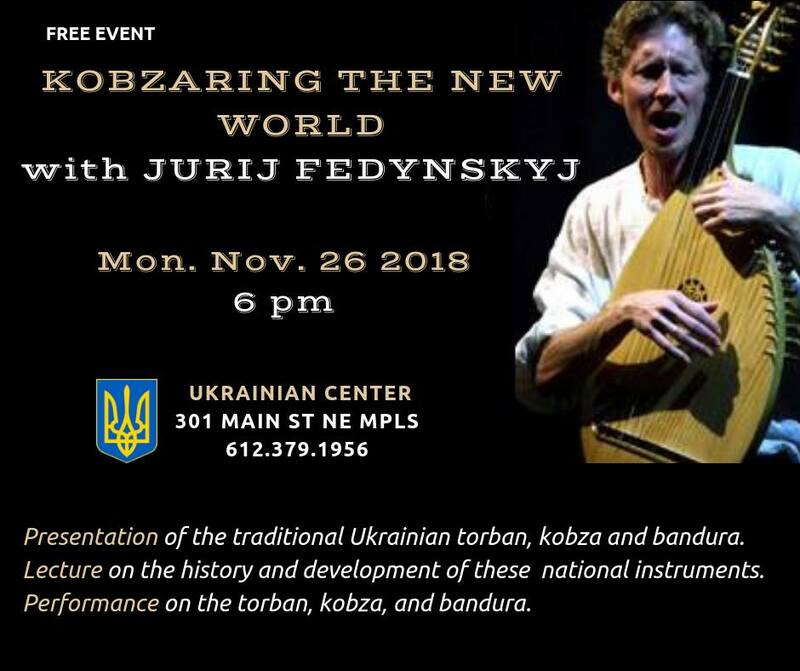 Come to this free event to learn about ancient Ukrainian instruments torban, kobza, and bandura and to hear them during the performance by Jurij Fedynskyj – Player, Maker, Teacher! For the past fifteen years, Jurij Fedynskyj has worked to resurrect these original and unique, Ukrainian instruments, by researching their construction from a handful of surviving instruments in Ukrainian museums, and mastering the techniques required to make and play new instruments. He is one of several makers who create exclusive and professional examples of these instruments presently, and the only player who regularly performs traditional repertoire on all three. He teaches making and playing in a small Ukrainian village in the Poltava region. – demonstrate the traditional repertoire performed on the torban, kobza, and bandura. Cookies, tea, and coffee will be served.